Home/Chatterbox/Chatterbox 2015/Habitats – Wildlife wonder! Hopefully you've now spent quite a lot of time staring out the window watching wildlife in your school grounds. There aren't many times in your school life that you are encouragesd to stare out of a window! Isn't wildlife watching great? as well as not knowing what you're going to see it is also relaxing. I have been on courses to learn about "Habitat management", in other words - how to look after wildlife and their homes. One of the first things that you need to do is to find out what is living in the area that you want to look after. Ask you teacher for an outline map of the school and go out to record what you find and where. This is the best time of year to go out and look for the plants (don't forget the trees) in your school grounds. If you are not sure of a plant's name take a photo of it - there are many books (FSC guides or Collins), apps (like Leafsnap) and experts that can help you! You could also collect just a few flowers & leaves from the plants and press them between tissues in an old heavy book. This will be extra information for your records. The next job is to find about what animals live in your habitats. You can bird watch! You can pond dip or bug hunt. All of these things are great fun to do. Don't forget when Birdwatching that at this time of year there will be lots of leaves on the trees so your best way of finding bird is to listen quietly. 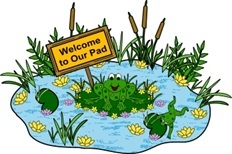 You will need to take an adult with you if you go pond dipping. There are lots of great ideas online about making your own bug hunting kit, so you don't have to spend a lot of money on equipment. The best equipment is free - your eyes and ears! When you have found out which animals and plants are in your school you can start to think about how to make better habitats for them. There is lots of help and ideas on the internet. Here are a few links that you may find useful. Don't forget that you can do all these activities at home or with community groups such as Cubs or Brownies. 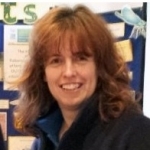 Until recently Jackie was the RSPB Education Officer for West Sussex based at The Pulborough Brooks Nature Reserve. Responsible there for developing and delivering the education programme on the reserve and in schools, Jackie has considerable experience working with schools, teachers and pupils teachers on developing science and nature activities that address the requirements of the new primary curriculum.